In an appalling attack on a boat off Somaliland’s coast which happened last Thursday, 16 March 2017, close to 50 people have been killed, many of them refugees from Somaliland. The boat had been on its way from Yemen to Sudan when it was attacked by a helicopter. Recurrent droughts led to a refugee crisis in the Horn of Africa region, with many Somaliland refugees seeking refuge in equally unstable Yemen. Civil society organizations based in Somaliland roundly condemneds Thursday’s deadly attack and asked for an independent and thorough investigations into the incident. 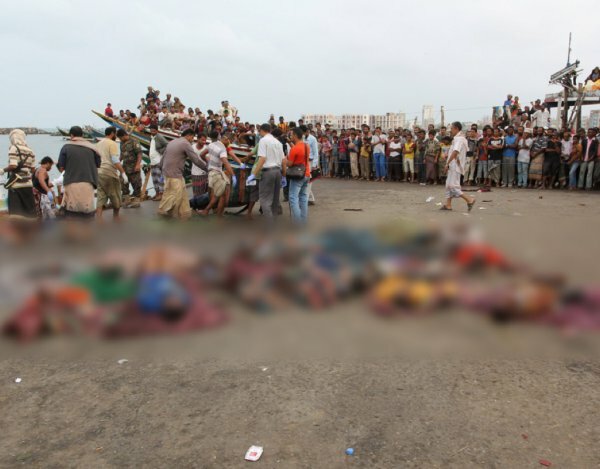 Somalilandsun- Human Rights Centre, Centre for Policy Analysis and COMPAD, civil society organizations based in Somaliland, demand independent investigation to determine who was behind a deadly attack on a boat near Bab al-Mandeb strait, off the coast of Yemen, where more than 40 civilian people were killed. Somaliland civil society condemns the attack. Refugees including Somaliland nationals were attacked by a helicopter leaving dozens of them dead. The fatal attack deliberately targeting civilians is unacceptable, heinous and against the international law. We demand immediate investigation of the incident.